All Hallows Eve in the Mile High City was pretty rockin’ this year despite it falling on a Monday night. While many people chose to celebrate over the weekend, those interested in keeping their festivities local couldn’t have asked for a better line up than at The Bluebird Theatre on Monday night. Air Dubai, The Epilogues, Monroe Monroe, and ManCub all came out in full “cape and cowl”, ready to rock the east end of Colfax and help their fans celebrate Halloween. This show was the grand finale to a four-day mini tour hosted and co-headlined by Air Dubai and The Epilogues, hitting each end of the state and featuring different acts from the respective areas as they went. With In The Whale, The Photo Atlas, My Body Sings Electric, and Monroe Monroe all being featured as main support to the co-headliners on separate nights, it was nearly impossible to pick a night you wouldn’t love to attend. Monday night went off without a hitch, as the costume-adorned audience found the Bluebird’s capacity at a perfect medium: packed full of fans, but not crowded to the point where it was uncomfortable. With ManCub opening the night with their distinct brand of techno-electronic beats, and Monroe Monroe following them with their Indie-punk energy, the crowd was obviously warmed up and excited to see The Epilogues take the stage at 9:30. In their typical style, the band played a generous mix of new and old favorites like “King Arthur”, “Futurebox”, and “The World is Yours”. Fans were excited to hear lead singer Chris Heckman announce that their new music video for their song “The Fallout” will be released “very, very soon”. The Bluebird went wild as they finished their set with their radio single “Hunting Season”, made famous by it’s airplay from local radio station KTCL and their “Local’s Only” segment. Fans seemed very happy with the set, as the band also seemed happy to finally be home after a long, and fun weekend. Air Dubai finished out the evening with fun for both new and old fans. Celebrating the release of their newest EP, “Day Escape” which just hit stores this past week (available online at www.airdubaimusic.com/ or on iTunes), the crowd was treated to a great mix of fan favorites like “Lasers”, “Modern Gold”, “Warm Days”, and“I Know How”, as well as new tracks like “Summer Solstice”, “Lights Out”, and “Still Searching”. Their certainly something new happening with tracks found on “Day Escape”. It might be the fact that all but one song on this new CD was recorded in California this past August, but in my opinion there’s a bit of a vintage, summery vibe to these tracks, and I LOVE it. Check out Castro’s review of the record -> HERE <- Overall, this was one of the stronger sets I’ve seen Air Dubai play, probably thanks to the newest tunes added to the setlist. 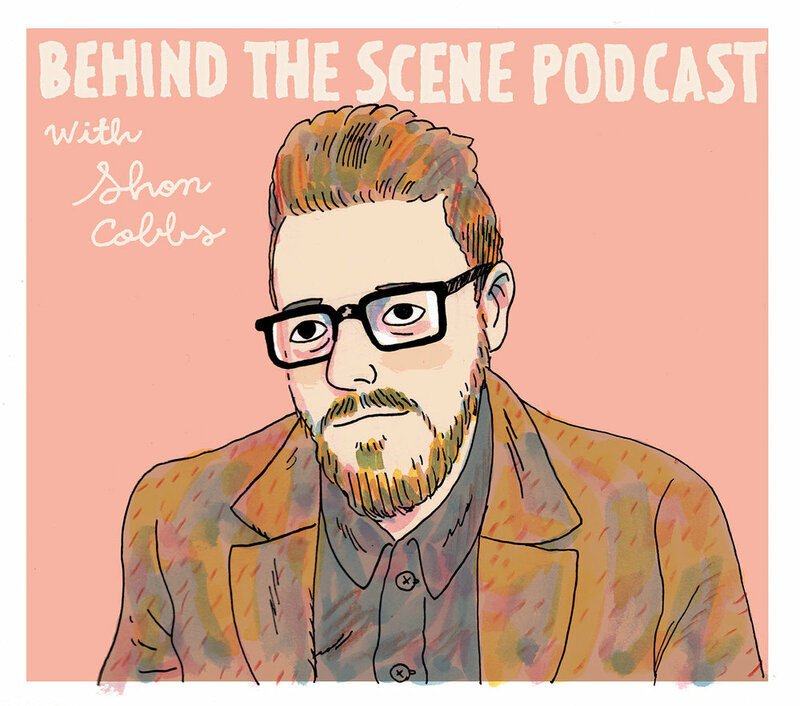 The band sounded on top of their game, and didn’t seem to stutter over any new material. Dressed like The Wiggles, the band gave the crowd an amazing set from beginning to end, closing with their radio single “restless Youth”. Currently The Epilogues don’t have any tour/show dates listed on any of their websites, so be sure to “like” them on Facebook to keep updated. 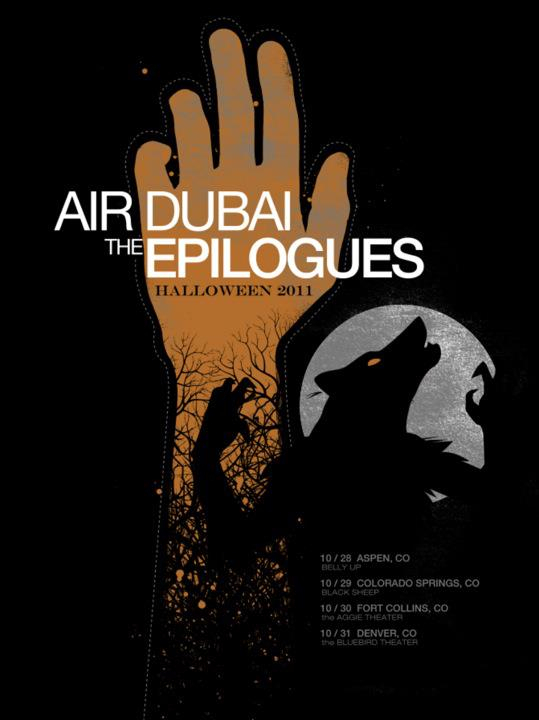 Air Dubai is playing a big show November 19th at The Fox Theatre in Boulder. Be sure to grab tickets soon, as the band just announced a free copy of their new EP "Day Escape" with an e-mailed proof of purchase to their Boulder show! Hope to see you all out there showing Denver’s artists some love!